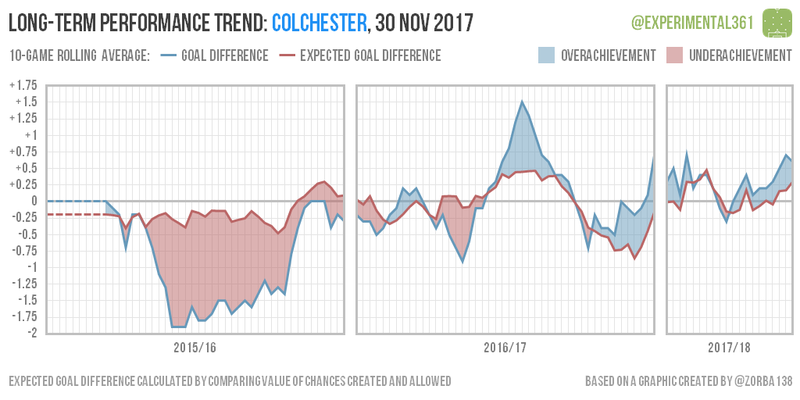 Each club is listed in alphabetical order although unfortunately I haven’t got graphics for Lincoln or Forest Green at the moment due to the inexcusably short-sighted decision to stop collecting shot data for the National League last year. 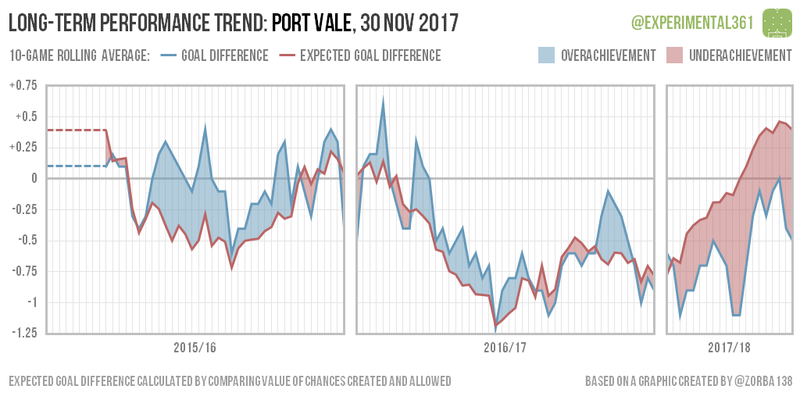 I’ll try to come up with some sort of workaround for future batches. 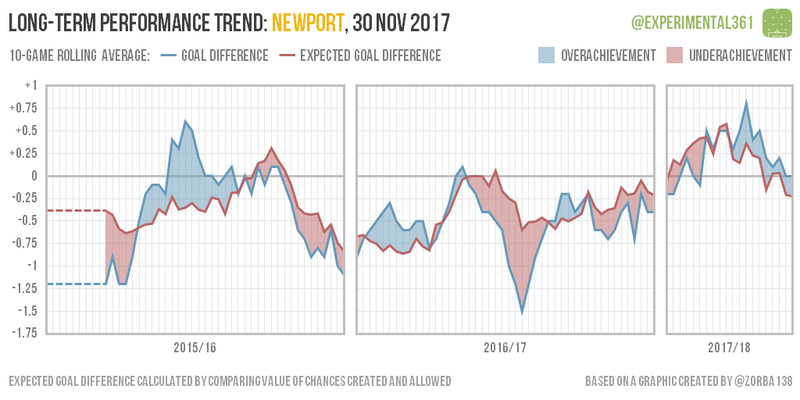 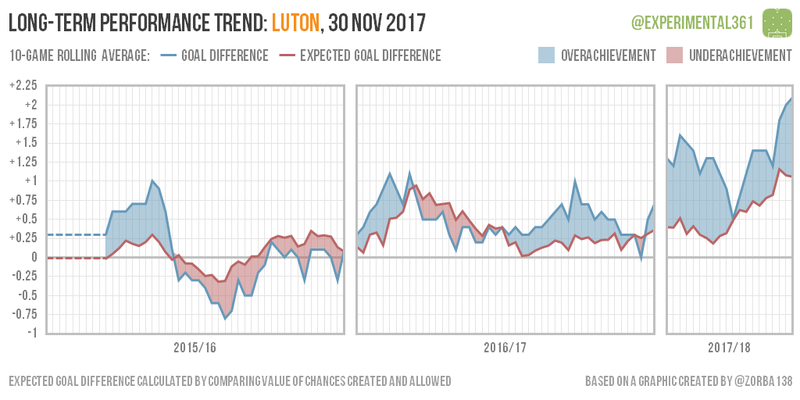 Luton have genuinely pushed on since last season, even if their goal difference doesn’t look sustainable, while Newport‘s fine start looks to have stalled. 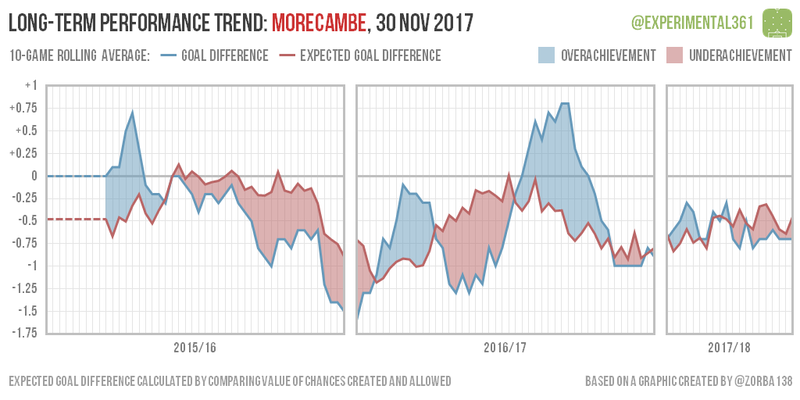 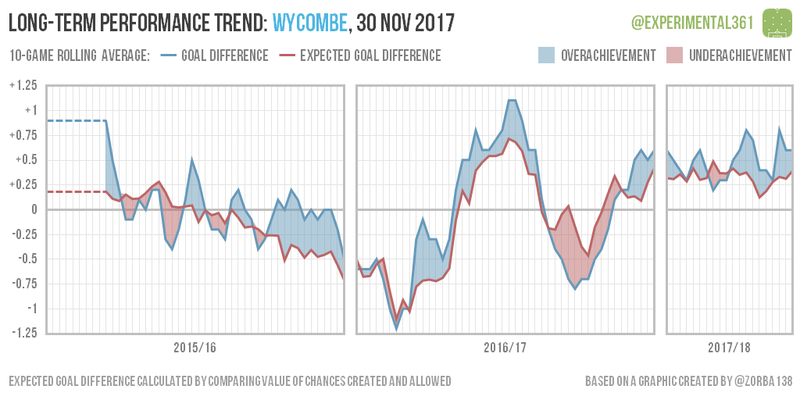 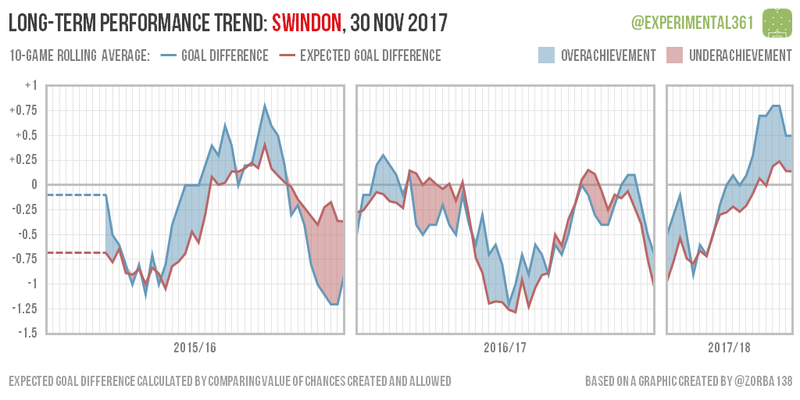 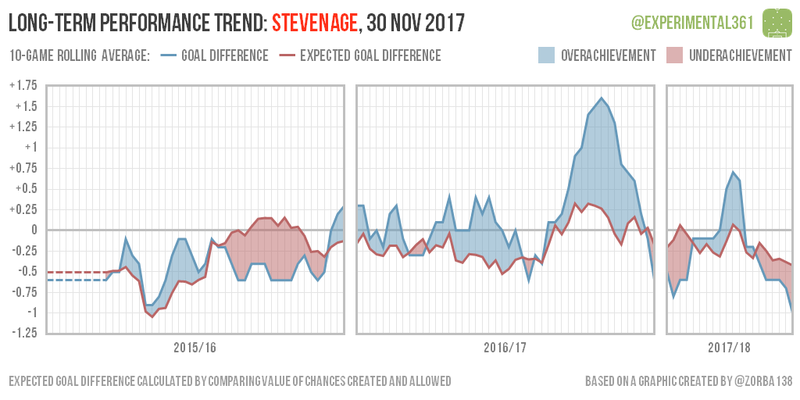 Wycombe look to have found another gear this time around, steadily maintaining a high level of performance, while Swindon look to be doing well after a poor start. 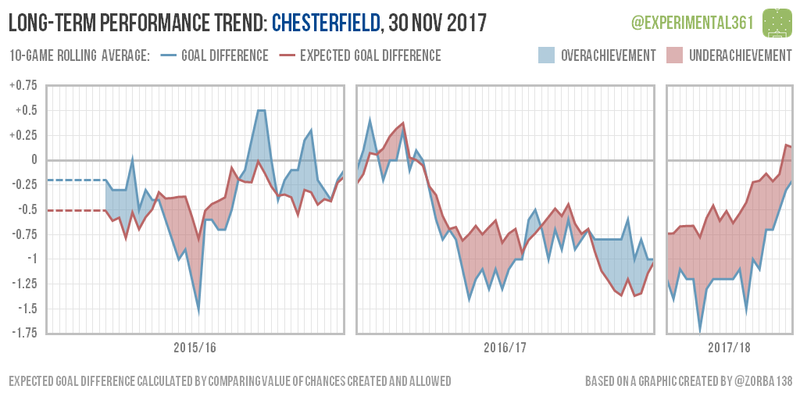 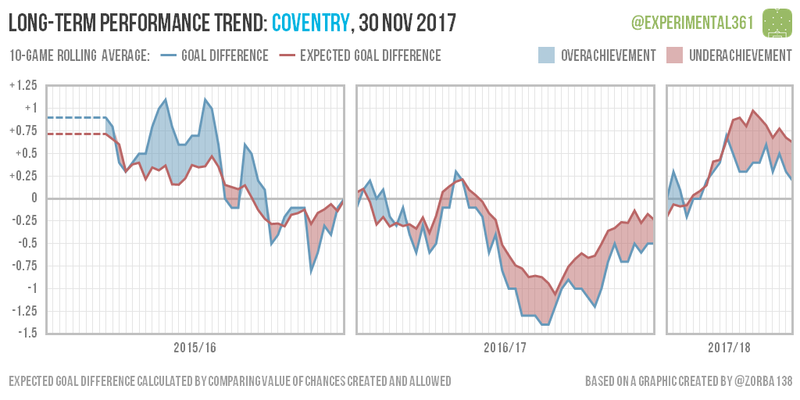 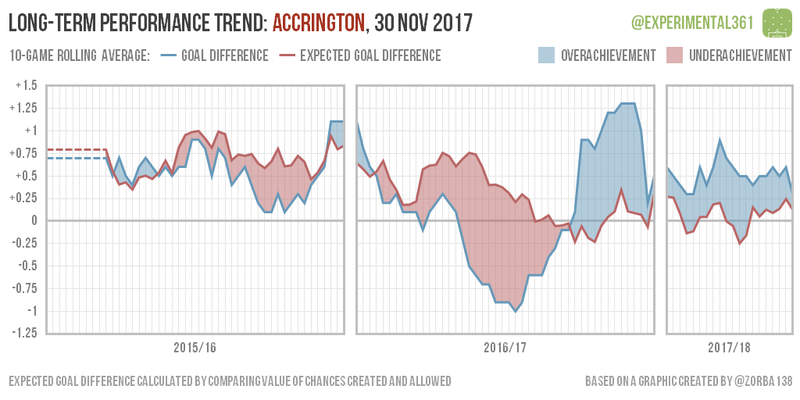 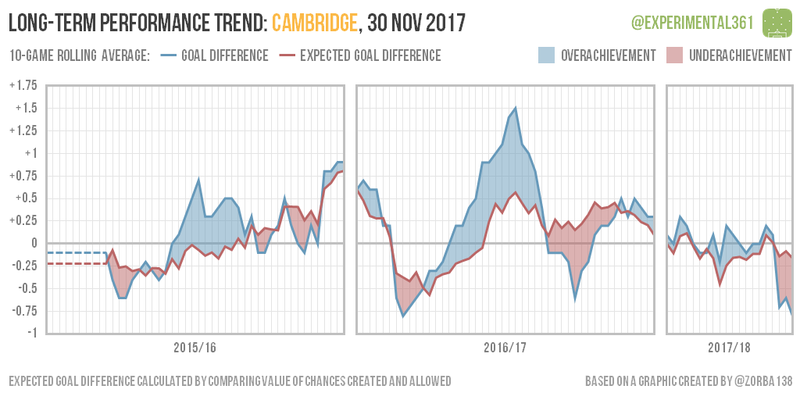 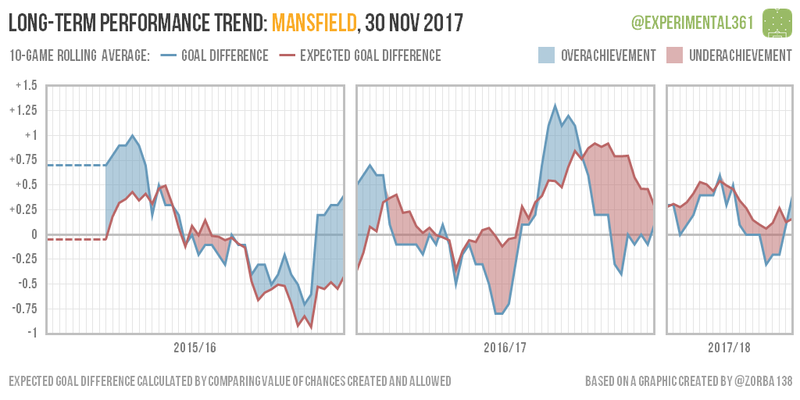 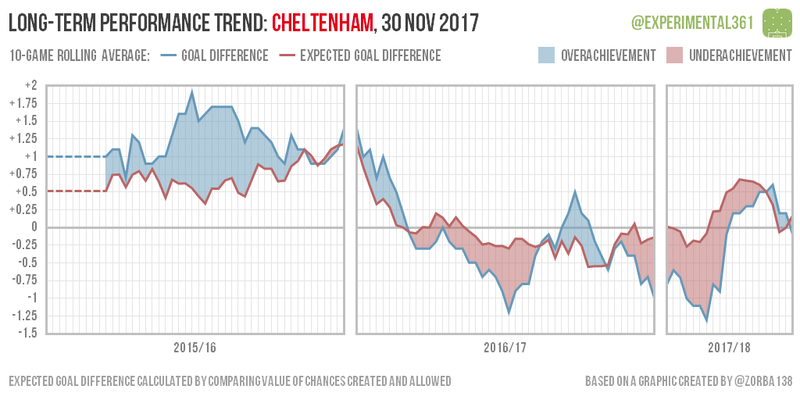 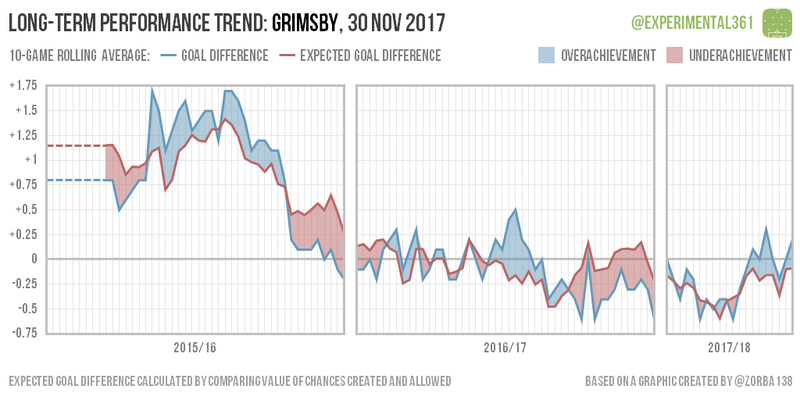 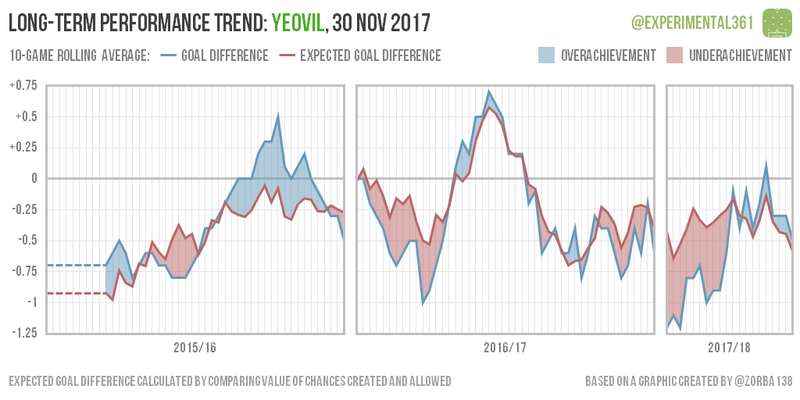 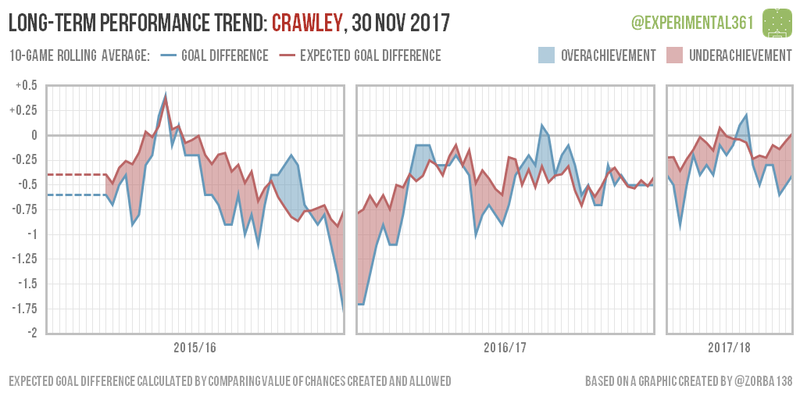 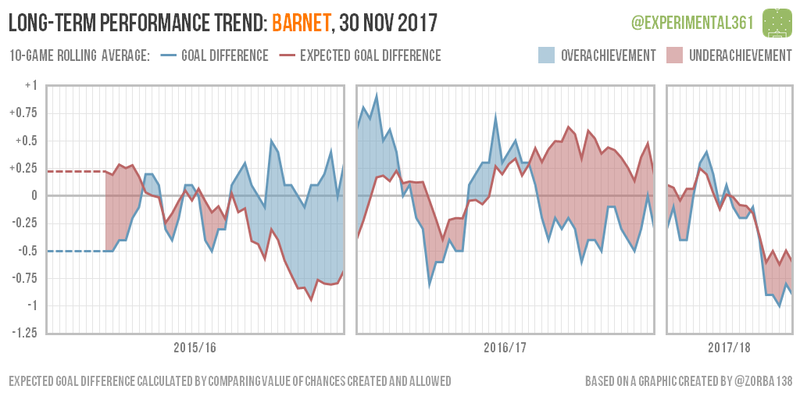 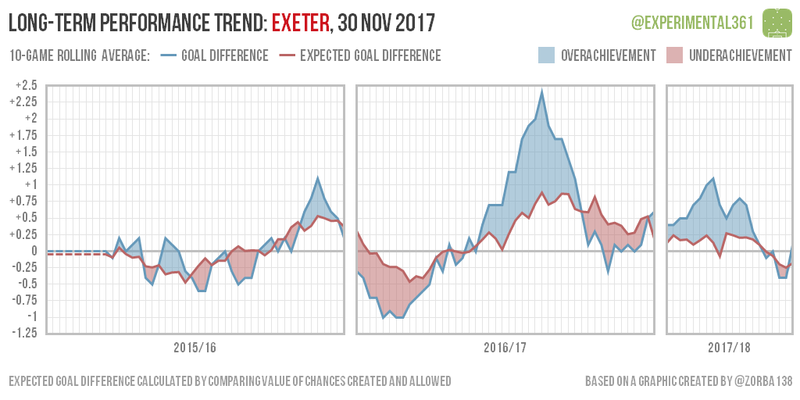 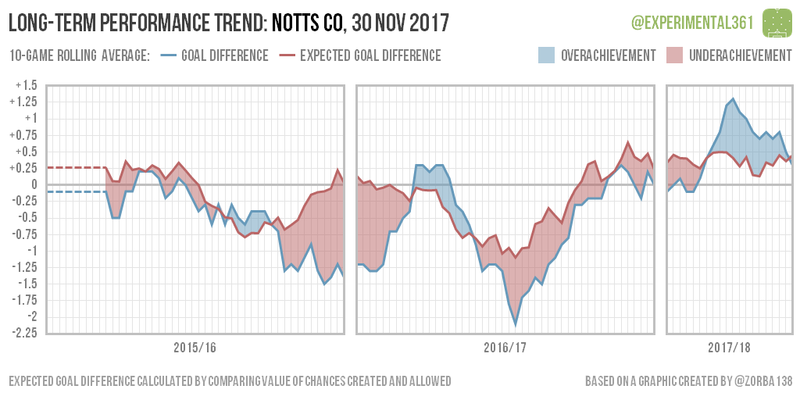 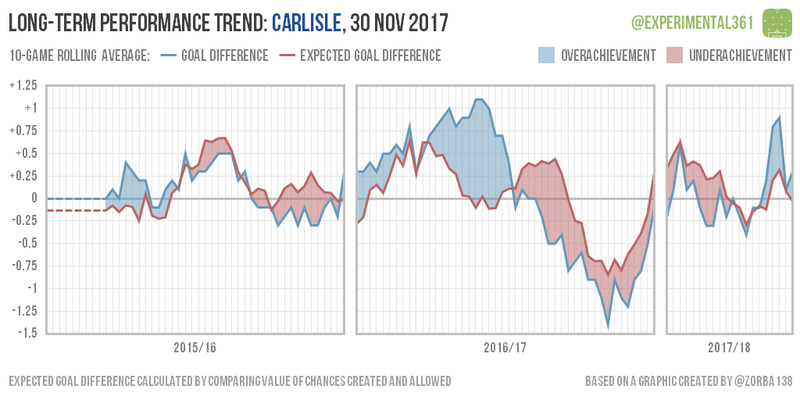 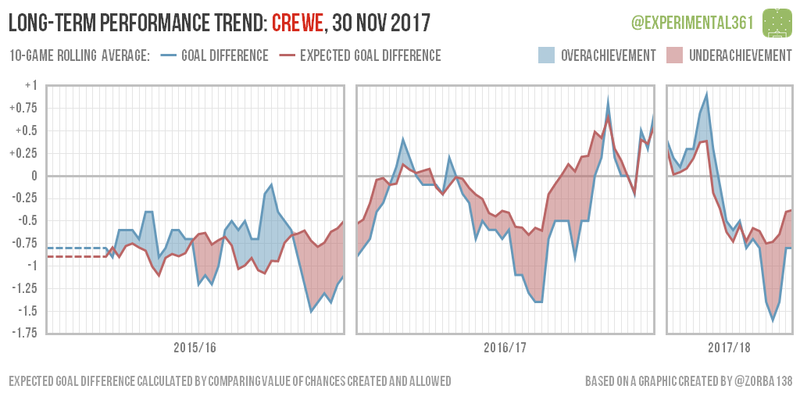 Both Chesterfield and Port Vale look capable of moving up the table based on their underlying performances, which already look “top half”-y and continue to improve.